Pittsburgh Public Media has acquired Rhythmic Oldies 1550 WZUM Braddock/Pittsburgh PA from AM Guys LLC for $75,000. WZUM will add the “Pittsburgh Jazz Channel” programming originating at soon-to-be sister 88.1 WYZR Bethany WV, which covers the western side of the Pittsburgh metro. Pittsburgh Public Media was founded in 2011 following the sale of 90.5 WDUQ to Essential Public Media to return the Jazz format to the market. PPM President Chuck Leavens served as Chief Engineer and host on WDUQ prior to its sale. The non-profit intends to use the upcoming 250 mile AM translator waiver period to acquire an FM signal for WZUM. Pittsburgh Public Media today announced the acquisition of WZUM, AM 1550, Braddock PA from AM Guys LLC for $75,000, with the signing of Letter of Intent and Asset Purchase Agreement. “This is the next step in our growth” says Charles H Leavens, President of Pittsburgh Public Media. “It feels good to begin to bring the spirit of community service and Jazz back to Pittsburgh” says Leavens, who was previously Chief Engineer and voice of WDUQ, and a veteran of other Pittsburgh radio and television stations. Leavens also plans enhancements to WZUM’s coverage in the near future. “The FCC has opened several opportunities for FM translators just for stations like WZUM. Pittsburgh Public Media plans to take advantage of these opportunities,” he adds. Pittsburgh Public Media is now waiting for FCC approval, which takes several months, before the station sale is fully completed. Pittsburgh Public Media also operates WYZR-FM 88.1, which covers the Ohio Valley and is heard in the South Hills and western suburbs of Pittsburgh. It is slated for a 10,000 watt power increase. Pittsburgh Public Media purchased WYZR in 2013 for $135,000 from Bethany College. 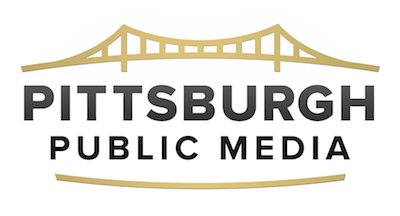 Pittsburgh Public Media delivers programming in association with locally-based PubMusic, which distributes music programming via the NPR satellite system. PubMusic reaches over 14 million listeners nationwide via local public radio affiliate stations.